Here we bring you details of professional societies that UKCHP graduates can apply to join if eligible. Please always consult the actual websites of each organisation for full information. Though we do our best to summarise the details here for quick reference, any errors or omissions in this page are our own and societies may change their details at any time. There are many professional societies for therapists and life coaches in the UK. Often they are linked to one particular school and will only accept its graduates. We do not have our “own” professional society but have always sought links with independent societies because we believe that adds more credibility. Over the years various professional bodies have come and gone, have amalgamated or have changed their policies so the decision as to which one(s) to approach can be quite confusing. A big advantage of applying to an independent organisation is that they can take into account not only your UKCHT training, but other relevant training you have done in the past. This may enhance your grade of membership, for example if you have done a distance learning course with us and have done a classroom-based training with another school some time ago. 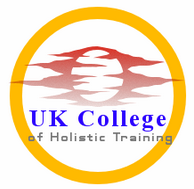 UKCHT is an organisational member of ACCPH (Accredited Counsellors, Coaches, Psychotherapists and Hypnotherapists) For graduates of our therapy-related and coaching courses, we recommend this organisation as they specifically welcome graduates of distance learning courses of adequate standard to Membership grade. If you have a suitable classroom-based training as well, you can apply to be upgraded to Accredited status. An insurance scheme is available. For further details see the ACCPH website. If you practise several modalities and your existing organisation does not cover them all, ACCPH could save you multiple membership fees. If you have been out of practice for some time but have changed direction and now practise a different field, an ACCPH membership could enable you to incorporate your original field in your membership and retain your professional status. The AHCP will consider applications from practitioners of a wide range of holistic therapies taught by various training schools. See their website for further details. AHCP does not accredit UKCHT courses and at present we have not applied to them for consideration of any course towards accreditation. If you have taken one of our courses and have joined AHCP, please let us know. “Counselling” registers people who have British qualifications in counselling (from any bona fide education provider, including distance learning courses) as CCC Registered Counsellors. “Counselling” has a code of professional ethics and can recommend a professional indemnity insurance scheme. A certificate of registration is also available. “Counselling” does not accredit UKCHT courses and is not an accrediting body. Please note we have had problems contacting this organisation and their database may not be up to date. Certain professional organisations (for example the National Guild of Hypnotists, USA) will accept a wide range of certificates for their continuing education requirements, and our course certificates and diplomas in psychological, personal growth, therapy-related and metaphysical fields may be submitted for such purposes. NGH does not accredit UKCHT courses. The societies below do not accredit or approve any UKCHT courses at this time but they are recommended for helpers with appropriate qualifications and/or expertise. In particular, we recommend that any person providing intuitive or psychic services consider applying to join the SWA. "The Spiritual Workers Association is a UK based Guild of Spiritual Workers and Spiritualistic Service Providers as well as an international umbrella group for all spiritual minded people." (SWA home page). We recommend that anyone providing spiritual, intuitive or psychic services apply to the SWA or at least browse their website for important information on UK consumer protection regulations. The SWA can also offer a professional indemnity insurance scheme for suitable practitioners. IMPACT (International Membership of Professional Advisors, Coaches, & Trainers) www.impactforcoaches.org IMPACT will accept applications from practitioners with relevant qualifications, and UKCHT graduates are welcome to apply. Though metaphysics is mainly known in the UK as an academic branch of philosophy, in the USA it is recognised as a spiritual philosophy with the same privileges as a religion. The WMA accepts members who practice various spiritual, intuitive, mystical, esoteric, “New Age” and psychic talents and also has its own courses. Their website states, “We welcome all individuals of any religious background of legal age in their country who wish to promote the spiritual components of metaphysical healing, thought, and practices.” The WMA has a number of UK members.